This world premiere recording of La somnambule by Ferdinand Hérold offers the first chance for music lovers and balletomanes to hear this delightful and historically significant score in over 150 years. La somnambule can reasonably be considered as the first in the line of 19th century Romantic ballets. The score was never published and the present edition has been made from the manuscript full score which comes from Hérold's own library. Louis Ferdinand Hérold (1791 - 1833) was a prolific French operatic composer who is today little more than a name in the history of music. He is best known for the overture to his once famous opera Zampa and the ballet La Fille mal gardée which remains in the repertoire of several ballet companies. The libretto of the ballet La somnambule was written by Scribe with choreography by Aumer. Scribe based his libretto loosely on his earlier two act comedy vaudeville La somnambule written in 1819 for the Théâtre de Vaudeville. Bellini’s opera La Sonnambula was written only four years later than Hérold’s ballet, in 1831, with the libretto attributed to Romani but with no mention of Scribe. Bellini’s storyline follows Scribe's libretto almost exactly with many phrases of Scribe translated into Italian. Romani obviously knew the Scribe libretto. Could Bellini possibly have heard some of the music of Hérold? There are distinct pre-echos of Bellini in the ballet and one in the last act in the same situation and same key as in the opera. 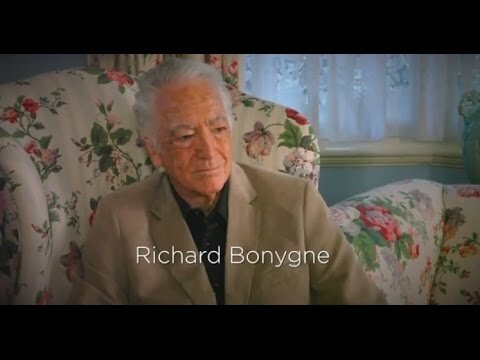 Richard Bonynge speaks about his CDs with four Australian divas, his passion for achieving excellence in the recording studio and his love of rare repertoire. Louis Ferdinand Hérold (1791-1833) was a prolific French operatic composer who is today little more than a name in the history of music. He is best known for the overture to his once famous opera Zampa and the ballet La fille mal gardée still currently in the repertoire of several ballet companies. Hérold was essentially known as a composer of opéra comique and he wrote over twenty in this genre. His first real success was Le muletier (1823), followed by Marie (1826), Ľillusion (1829), Zampa (1831) and Le Pré aux clercs (1823). These were very popular in their day and are were very popular in the day and are worth reviving. In addition to his operatic repertoire he wrote a deal of piano music, including four pianoforte concertos and several ballets. The first of these, Astolphe et Joconde, a ballet in two acts, was produced in 1827 at the Académie Royale de Musique in Paris. This was followed in the next year by Lydie (one act) and La Fille mal gardée (three acts). In the year 1827 Hérold composed both La Belle au bois dormant (four acts) and La somnambule (three acts). His final ballet, La noce de village in one act, was written in 1830. 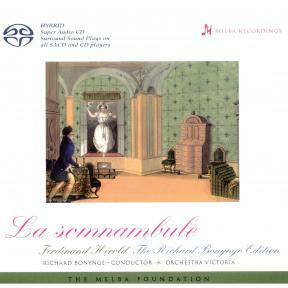 La Somnambule, ou L’arivée d’un nouveau Seigneur had its premiere at the Académie Royale de Musique on 19th September 1827 and was revived there thirty years later in 1857. Many great balletic names of the early 19th century appear in both programmes – Mérante, Montessu, Rosati, Coralli, Paul, Noblet, Albert and Bournonville. The libretto of the ballet is written by Scribe with choreography by Aumer. Scribe based his libretto loosely on his earlier two act comedy vaudeville La Somnambule written in 1819 for the Théâtre de Vaudeville. Scribe wrote this piece in collaboration with Casimir Delavigne, but although it appears in the complete words of Scribe there is no mention of it in the works of Delavigne, who was presumably a minor collaborator. La Sonnambula by Bellini was written only four years later than the ballet, in 1831, with the libretto attributed to Romani but with no mention of Scribe. The storyline follows Scribe’s libretto almost exactly with many phrases of Scribe translated into Italian. Romani obviously knew the Scribe libretto. Could Bellini possibly have heard some of the music of Hérold? There are distinct pre-echos of Bellini in the ballet and one in the last act in the same situation and same key as in the opera. The names of the characters underwent two changes. Cécile in the vaudeville becomes Thérèse in the ballet and Amina in the opera. Gustave becomes Edmond, who becomes Elvino. The ballet takes place in Provence, l’île de la Camargue near Arles, while the locale is transferred to the Swiss Alps in the opera. The present recording of the ballet will presumably be the first time the music has been heard in over 150 years. The composer Adolphe Adam considered Hérold to be the greatest of French ballet composers of the era and La somnambule precedes Giselle by fourteen years. The score was never published and the present edition has been made from the manuscript full score which comes from Hérold’s own library. La Somnambule can probably be considered as the first in the line of 19thcentury romantic ballets. The year 1827 was a decisive one for the Paris Opéra and in particular for its ballet company. The new opera house in rue le Peletier had opened in August 1821, a theatre worthy of its title, “La Maison du roi” (The King’s house), where all the operas were sung in French and the administration was under the direct control of the King’s ministers and courtiers. In January 1827, a new director, Emile Lubbert, took over the running of the company, and in his four-year tenure he oversaw the transformation of French opera and ballet. With Rossini’s final works for the stage (Moise et Pharon, Le Comte Ory and Guillaume Tell), Auber’s La muette de Portici, and the ballets of Hérold, Schneitzhoeffer and Halévy, the Romantic movement in lyric theatre approached its zenith. At the centre of this move towards something new was the Opéra’s chef de chant, Ferdinand Hérold. Ferdinand’s was eleven when his father died. As the child had already shown remarkable musical talent, his mother arranged for an interview with the leading French theatre composer of the late 18th century, André-Ernest-Modeste Grétry. Although he had been Marie-Antoinette’s personal director of music, Grétry survived the French revolution and the reign of terror, to continue composing into the age of Napoleon. He looked at young composer’s works, and while noting that there were quite a few errors, he assured Hérold’s mother that it would be better to remove him from school, and enrol him for full-time musical studies. At the Paris Conservatoire, Méhul, one of the leading composers of the time, took him under his tutelage, and became like a second father to him. His other teachers were Kreutzer, for violin, and for piano, Louis Adam (father of Adolphe Adam, composer of Giselle). In 1812, Hérold won the Prix de Rome, and went to Italy, later travelling through Europe. He met Salieri, played piano duets with Hummel, and glimpsed Beethoven, although he was too shy to present the letter of introduction he had to the already completely deaf composer. In January 1815, Hérold’s first opera, La gioventu di Enrico quinto, was performed in Naples, with the celebrated tenor Manuel Garcia in the main role. The Paris to which Hérold returned in August 1815 was completely changed. In the aftermath of the defeat at Waterloo, Napoleon’s army had been dispersed, and the exiled King Louis XVIII returned to popular acclaim as ‘Louis le désiré’. The newly appointed court composer was Francois-Adrien Boieldieu (1775-1834), and he gave Hérold his first chance in Paris, when he chose him to collaborate on a festive opera, Charles de France, ou Amour et gloire. Hérold composed the second act, and his patriotic song “Vive la France”’, as sung by the tenor Huet, roused the audience at the Théâtre Feydeau (where the Opéra-Comique was installed) to great enthusiasm. Everyone was dependent on the patronage of powerful figures at court, or behind the scenes. When Hérold wrote his old master and asked if he might dedicate the score of Les rosières to him, Méhul replied that he would accept the dedication with pleasure, but he advised Hérold that if there was some powerful person who might be flattered by such an honour, then he was to go ahead and change it. Thus were careers advanced in 1820s Paris. Once Hérold had been appointed to the music staff at L’Opéra, he nursed an ambition to compose a large-scale piece for the royal theatre, but this was never to be, his lasting contributions there were all ballets. His first was Astolphe et Joconde, in which he was united with the choreographer Jean Aumer (1774-1833), who throughout the 1820s was ballet-master at L’Opéra. The whole Restoration period in Paris was dominated musically by the huge vogue for romances and chansonettes, popular songs with sentimental or patriotic verses which were sold as sheet-music everywhere. The usual ballet scores were merely arrangements of these ditties, so that the audience, familiar with the words, would readily catch on to the situation being mimed and danced on stage. Hérold set about changing this. His ballets would be original compositions, although he did continue to include a few existing melodies, such was his skill in weaving them into the score that they were re-invented. Those familiar with Tchaikovsky’s Eugene Onegin will recognise the melody Hérold uses for the sleepwalking scene - Tchaikovksy took it for Monsieur Triquet’s couplets. It is based on a romance by Amédée de Beauplan (1790-1853) entitled “Dormez donc, mes chères amours!” Hérold also uses some themes by Rossini, and the “Duo des deux commères” from Auber’s opera Le maçon. The principal ballerina, and it was rumoured a particular favourite with director Lubbert, was Pauline Montessu (1805-1877), and she was chosen to be the heroine of Hérold’s second ballet, La somnambule. The libretto for this was written anonymously by Eugène Scribe (1791-1861), already a successful playwright and destined to be the most influential opera librettist of his day. His story, set in Provence, was part of the fashion for pastoral subjects beloved of the era. Rejecting the old ballets with gods and goddesses in heroic costumes, this was set in a modern village. When Montessu entered in the second act, sleepwalking in her night attire, with bare feet, it was a sensational departure. Her leading man, Ferdinand (1791-1837) was one of the last of the old breed of male classical dancers. In the role of the page Olivier was Caroline Brocard, and as the century wore on, more and more of the male roles would be danced by ballerinas en travestie. One unusual feature of La somnambule was the raising of the curtain on a village dance in full-swing, “a new effect which caused much pleasure”, another innovation was the dramatic finale of Act 2, but it was above all the sleepwalking scene on the roof in Act 3 that sealed the ballet’s success. It eventually notched up 120 performances at L’Opéra; Montessu left to have a baby, and her role was taken over by Mimi Dupuis, and then later by Pauline Leroux and Mme Rozier (Aumer’s daughter). Before La somnambule, ballets had invariably been adapted from existing plays or stories. The situation was now reversed and Scribe’s scenario soon inspired a play at theThéâtre des Variétés, La villageoise somnambule, ou Les deux fiancés, by Dartois and Dupin, and in the fashion of the time two parodies, La somnambule du Pontaux choux and La petite somnambule ou Coquetterie et gourmandise. Finally, in 1831 it was taken by Romani for the libretto of Bellini’s La sonnambula. The questions that seem destined to remain unanswered are how well did Bellini know Hérold’s music, and did he ever see the ballet? Giuditta Pasta, the soprano for whom Bellini wrote La sonnambula (as well as Norma) was well acquainted with Hérold - earlier he had been instrumental in engaging her for a season at the Théâtre Italien in Paris. La somnambule made Hérold’s reputation. His next ballet, Lydie, starred the dancer who was to create the greatest impact on the whole art of ballet in the 1830s, MarieTaglioni. She was also in his La belle au bois dormant, though it was once again Montessu who played the lead in the last of his full-length ballets, and the work for which he is principally known today, La fille mal gardée.